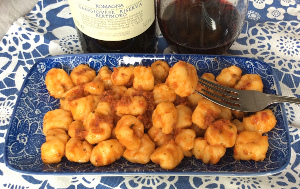 Ricotta gnocchi are an ideal “dinner-rescue” recipe. 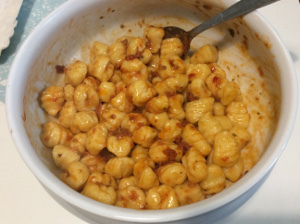 Simple and quick to make, soft and delicious, when served with a tasty sauce they are perfect for a nice dinner with friends! 1 bowl, 1 large pot, 1 chopping board, 1 knife, 1 fork. 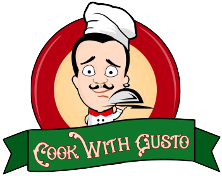 Mix the flour with potato starch, 1 pinch of salt, and ricotta. 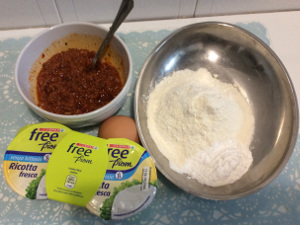 Crack the egg and add to the previous ingredients. 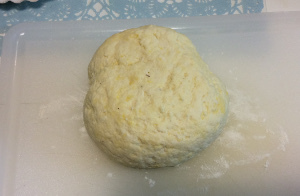 Quickly mix the dough but do not over knead. 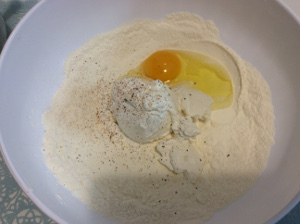 Place the ricotta/flour mix on a chopping board dusted with flour. 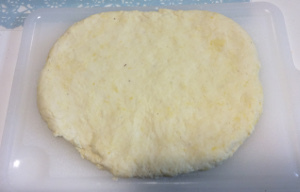 Press the dough with your hands and add flour if needed (depending on the quality of ricotta you used). 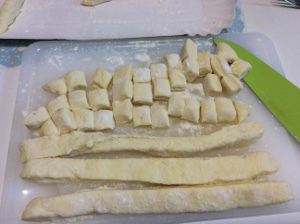 Cut dough into long strips, about 1.5 cm thick. You don’t need to roll them – this way you do not need to add more flour. Then, cut into small pieces – about the same size as large olives. 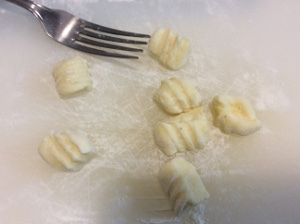 Dust with flour if needed and roll your gnocchi on a fork to make grooves. Meanwhile, bring water to a boil and add salt. 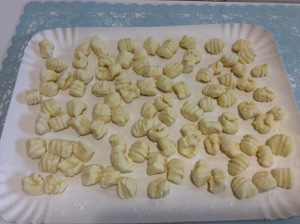 Add gnocchi, gently mix them with a wooden spoon, and cook for about 3 to 4 minutes. 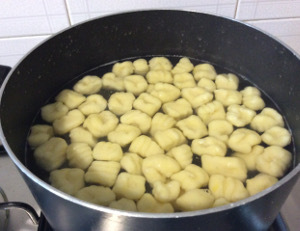 The gnocchi are cooked when they float at the top of the pot of boiling water. 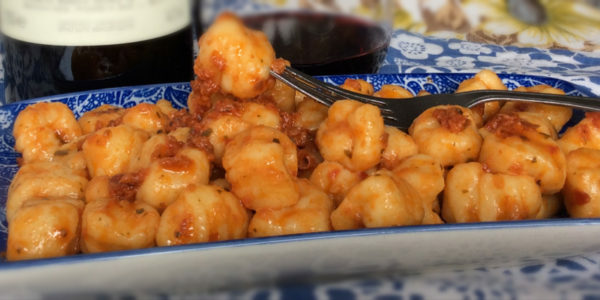 Drain gnocchi and stir gently with the red pesto, then serve sprinkled with cheese (optional). In case you have lactose-intolerant guests, you can use lactose-free ricotta, as we did. or Country Basil Pasta Sauce.